16 days/ MODERATE TO HARD/ TREKKING/ teahouses-GUESTHOUSE-HOTEL/ highest point : 5125 m.
13 days/moderate to hard/ tea-houses/ highest point : 4050 m.
19 DAYS/ TREK& CULTURE TOUR/ HOTEL-TEA HOUSES LODGING/ HIGHEST POINT : 4065 M.
22 DAYS/ TREKKING PEAK/MODERATE TO STRENEOUS/TEA HOUSE & CAMPING/HIGHEST POINT : 6475M. Mera Peak (6475m.) is one of the most accessible peak trekking in Nepal. We start our journey from Phaplu (2413m.) to finish at the top of the Mera which offers us a breathtaking view of the Himalayas, more precisely the Everest, Lhotse, Makalu and Cho Oyu. 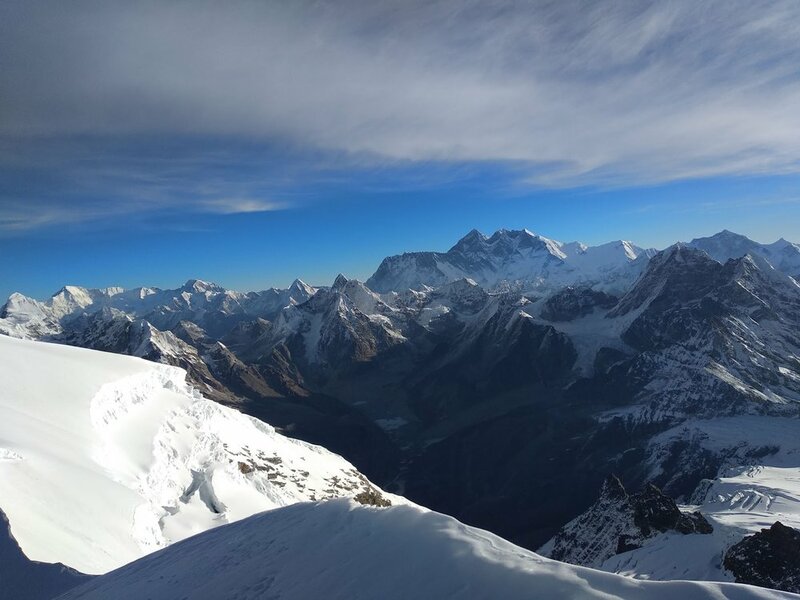 All summits over 8000 meters…This trekking-ascension is a superb introduction to Himalayanism, with a perfect mix between great hiking and real expedition. We’ll cross Sherpas villages throughout our approach walk, taking paths little known to other agencies, to ensure a total immersion in the daily lives of these men and women living in the foothills of the Himalayas. We propose you a different program, granting the necessary time to the acclimatization, so that you arrive at the top in the best conditions. An unforgettable trekking & climbing from the jungle to the peaks!